Search for a location by address, or let your iPhone, iPod touch, or iPad find your current location. Start measuring by dropping pins on the map. 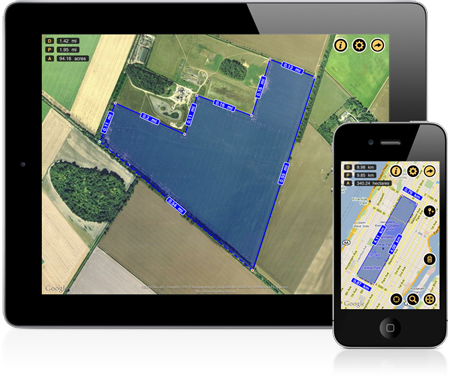 Measure your outdoor projects – lawns, fences or anything else seen on the satellite map. Measure distances for bike rides, golf courses or race tracks. Builders can quickly measure lot sizes, buildings, flat roofs, and roads. Planimeter supports imperial and metric units.